Treat Yo' Shelf #1 - Book Haul! I thought now would be a great time to start posting pictures of my book hauls! I have seen all of my lovely book blogger friends do it (Nori from ReadWriteLove28 and Katie from Katie's Book Blog just to name a few! ), and I thought I would jump in on the fun! 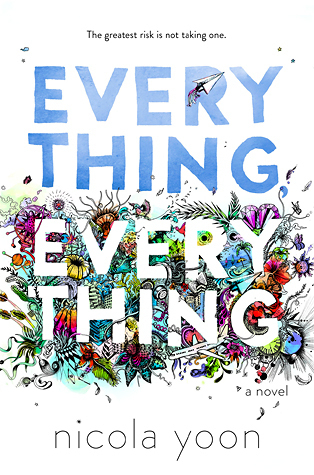 Learn More About Nicola Yoon Here! Have You Seen This...? was created by Andi’s ABCs and The Book Addict’s Guide to help bloggers to hunt down those hard-to-find books for their collection, either ARCs, foreign editions, or just books that they really want! Every month, Andi and Brittany have a linky set up on their blog, where bloggers can link their "Have You Seen This...?" post in hopes of finding those very special books! This is my first time posting a "Have You Seen This...?" post, so I am very excited to share with you what books I am SO passionate about that I have a need to base an entire collection around! If you have any of these books and want to make a trade, you can email me at iamabookjunkie (at) gmail (dot) com, or you can tweet me at @iamabookjunkie! Thank you so much for helping me to grow my collections! Foreign editions of Anna and the French Kiss, Lola and the Boy Next Door, and Isla and the Happily Ever After by Stephanie Perkins (same "rules" apply!) I don't have any foreign editions of these books right now, so anything goes! Black Widow: Forever Red by Margaret Stohl! I know that BEA/Bookcon had a few giveaways for a special item or two, so if you have any of those, I would be open! Also, a chapter sampler would be amazing! I will continue to update this post as trades (hopefully) happen! I do have to warn you, I am a relatively new book blogger, so I do not have as many ARCs to offer for trade or other books as some of my blogger friends! I just wanted to let you know before you offer to make a trade with me - it would be really nice of you if I could have a little bit of a wishlist, just in case I do not have the title you are looking for! Learn More About Josephine Angelini Here! Lily Proctor is special. It is not because of her life-threatening allergic reactions to just about everything in the world, causing long seizures and very high fevers to go along with them. Nor is it because of her strangely confused mother, who always seems to believe that she is in a different world, never quite getting right what it happening here. Lily Proctor is special because she is a witch - a real one – from Salem Massachusetts. However, Lily finds herself transported to an alternate universe after a horrible seizure at a party. Her friends and family have no idea where she disappeared to, and Lily struggles to figure out where she is, let alone why she is there. But when Lily finds out there is an alternate version of her, things get a little tricky. Lillian is also a witch, but unlike Lily, she is not sympathetic to anyone. Lillian will do anything and everything to get her way, even if it means killing and banishing thousands of people in the process. Lily meets Rowan along her journey – an Outlander who helps Lily to escape the predicament that his people are in. Rowan does not trust Lillian with ruling the kingdom, but when he finds out that Lily and Lillian are the same person, he puts Lily to work, teaching her all kinds of magic spells, brews and history. If Rowan’s people have a shot at defeating Lillian and ending her dictatorial reign, Lily is it. When Lily and Lillian finally cross paths again, the results are catastrophic. Both of them have claimed gigantic armies, ready at their disposal. In the beginning, everything seems to go well, with Lily using the fire to fuel her soldiers – as many powerful witches are able to do. But when the battle gets even more intense than it already is, Lily knows she has to step up her game, and give the soldier’s the Gift – an intense, rage-ful state that makes killing even easier. In order to do this, however, she has to burn herself on a pyre. But the situation turns sour once again, and Lily cannot fight the army that Lillian is fueling. After all, Lillian has had years of practice with magic, and Lily just learned about it only two months ago. The only solution Lily sees is to worldjump – to try and return home to see her friends and family again. To Lily’s surprise, she is able to, but she was not expecting that Rowan would come with her, or that Lillian would still try to pull her back into the world she never wants to return to. 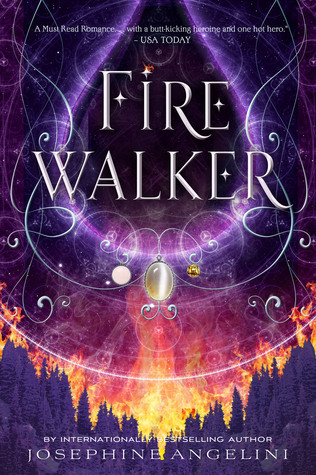 Before I start this review, I want to mention that Firewalker picks up exactly where Trial By Fire left off, so it may be beneficial to a reader to refresh themselves with the events of the first book before picking up the second when it hits shelves. Firewalker, for me personally, was completely different than Trial by Fire. Trial by Fire is all about the world-building, making new characters, relationships, and discoveries. Trial by Fire is about setting up the story, revealing just enough information to keep the reader interested in the story, but never too much to deter away because the story became “too predictable”. In Trial by Fire,information is presented that the reader does not comprehend. Firewalker helps to put the puzzle pieces together. Firewalker is not so much about the world-building as it is about the resolution of the conflict that was occurring in Trial by Fire. The world-building still exists in Firewalker in the sense of new information regarding magic, Lily’s family relationships and otherwise. But Firewalker speaks of the result of the conflict, the result of all of the new knowledge that Lily now has about herself, and how that knowledge affects her now. I liked Firewalker in this aspect because it really connected the two books together in ways that I did not expect. I knew that Firewalker was going to pick up where Trial by Fire left off, so I knew that the majority of world-building information would still be relevant, but there were reveals and connections to the first book that I did not expect at all. Trial by Fire had very subtle foreshadowing that comes to light in Firewalker, along with several plot twists that no reader will see coming. Josephine Angelini keeps readers guessing with every turn of the page. I loved Firewalker because it built on the previous book and managed to introduce new information at the same time. I like the combination of the two – there is always something new to learn about and I didn’t feel like much was repeated. At the same time, there were a few things I didn’t like about Firewalker. This section could get spoiler-y. I will try and tag spoilers the best that I can! One thing that I did not like about Firewalker is some of the sentence structure. At moments, the book read like this: “Lily is a witch. She can change substances. You should fight with her.” I thought the sentences were really simple and sometimes, didn’t really need to be explained at all, because if the reader read the first book, they already know all of the basics about Lily’s powers as a witch. To be clear, I really love Josephine Angelini’s writing style. I love the way that she strings words together, crafts ideas and uses language to convey emotion. But there were moments when it just didn’tfit. Granted, these were only moments in the story and not the story as a whole, but for some reason, I just couldn’t shake it. Because of this, I felt like the plot went really, really slow in the first half of the book. It was hard to get into it in the beginning. Another thing I didn’t like about Firewalker is how, important information was brought up in the story and then never really touched again. This section will have details, so this is officially marked as a spoiler. For example, it is revealed to the reader pretty early on that Una, one of Lily’s new friends, was sexually assaulted and abused when she was younger. end spoiler Memories come up like this one, and then never are mentioned again. These memories and information in the story have such potential in the story. I understand why they are not the focus in the story at this moment, but these had such potential for character development, and they were not utilized in this story as much as they could have been. Spoiler There was so much more potential with Una’s story, and Breakfast’s Uncle that was just not developed in this story. end spoiler These memories and experiences define a person, and to not include them fully means that the reader is missing out on key aspects of the character. Other than this, I really enjoyed Firewalker. I thought the characters were a great mix of personalities and values, as I did in Trial by Fire. I love how Lily is able to do great things, and fight the negativity in her own life by pushing through it and never giving up. I also loved the introduction of Una especially. (Let’s be honest, there needs to be more girls in literature!) I also really liked howFirewalker picked up where Trial by Fire left off – I didn’t feel like I was missing anything! As always, I love Josephine Angelini and her writing style. I am excited to see what comes in the third book!